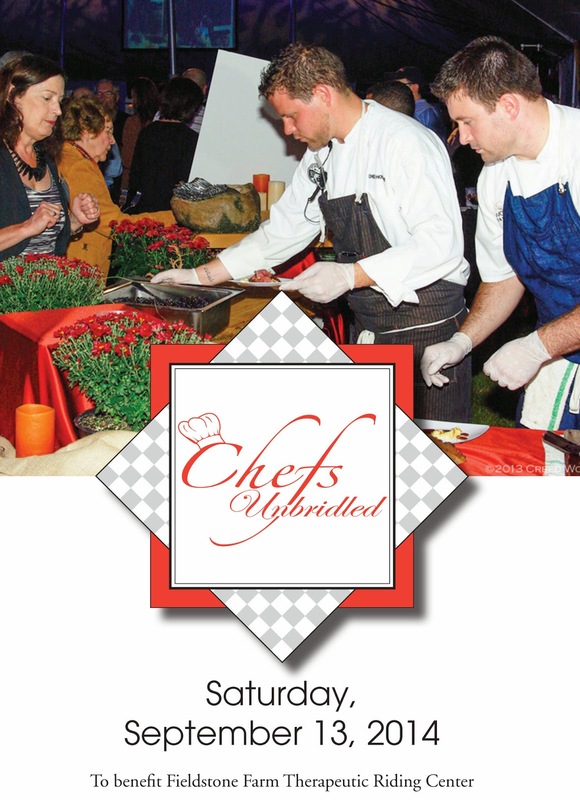 The popular event, Chefs Unbridled, benefitting Fieldstone Farm Therapeutic Riding Center is slated for Saturday, September 13th at the Chagrin Valley Hunt Club in Gates Mills. Eight of Cleveland’s premier chefs, led by Scott Kuhn and Chris Hodgson of Driftwood Restaurant Group, will prepare a delicious seasonal tasting dinner for 600 guests. In its fourth year, Chefs Unbridled is expected to be a sell-out. "R" and I attended last year, so you can read about our experience here. A pretty great lineup of chefs! The event, which is the Center’s primary annual benefit to raise money for riders with special needs, will take place under a decorated tent on the grounds of the prestigious polo field in Gates Mills. In addition to cocktails and appetizers, guests will sample cuisine from various stations around the tent. Food trucks will be on site serving as well, including the addition of the ever-popular Hodge Podge truck. WKYC-TV3’s Kris Pickel will be Master of Ceremonies for the evening. Entertainment will be provided by the Cleveland Jazz Orchestra, while guests can also enjoy a horse-drawn carriage ride throughout the grounds. A fundraising silent auction and raffle will also be part of the evening’s festivities. Ticket prices begin at $125 and include a tax deductible donation to Fieldstone Farm Therapeutic Riding Center. Tables and sponsorship packages are also available. Reservations for Chefs Unbridled can be made before August 29th, however seating is limited and the event sold-out last year before the reservation date. For tickets contact Maureen Foster at 440-708-0013 ext. 123 or mfoster@fieldstonefarmtrc.com. To learn more about Fieldstone Farm Therapeutic Riding Center visit www.fieldstonefarmtrc.com. Disclosure: I was provided two media passes in exchange for a preview blog post. All opinions stated are 100% my own.